Shigeru Miyamoto may have created the most recognizable videogame character in the world, but that's not the only plaything he dreams about making. By pretty much any standard you want to dream up, Miyamoto has had a very successful career at Nintendo, so it might come as a surprise to hear him say that he feels that making Mario games is taking the easy path. 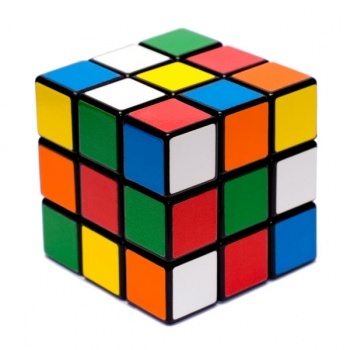 In a interview conducted by Shigesato Itoi, creator of the EarthBound series, Miyamoto said that he'd always considered Ernő Rubik to be a rival of his, and had often entertained thoughts about making something like the Rubik's Cube. He though that the fact that he had never tried meant that he must be taking the easy option. "For 20 years, I've always thought that Rubik's Cubes are great," he said. "And I want to make something like them ... Regardless of whether I can or cannot do it, I could at least give it a shot, but I never have." Miyamoto also expressed a desire to be a manga artist, and said that he had once drawn a rough layout for a four panel for that Takashi Tezuka, the general manager of Nintendo EAD, had said was good, but that was as far as he had gone with it. Miyamoto may have never made it as a manga artist or a toymaker - although you could make the case that making videogames isn't all that different than making toys - but really, the only person who's going to accuse him of taking the easy way out is Miyamoto himself.